So there is no ‘exact’ animal associated with the Chinese word yáng ?. 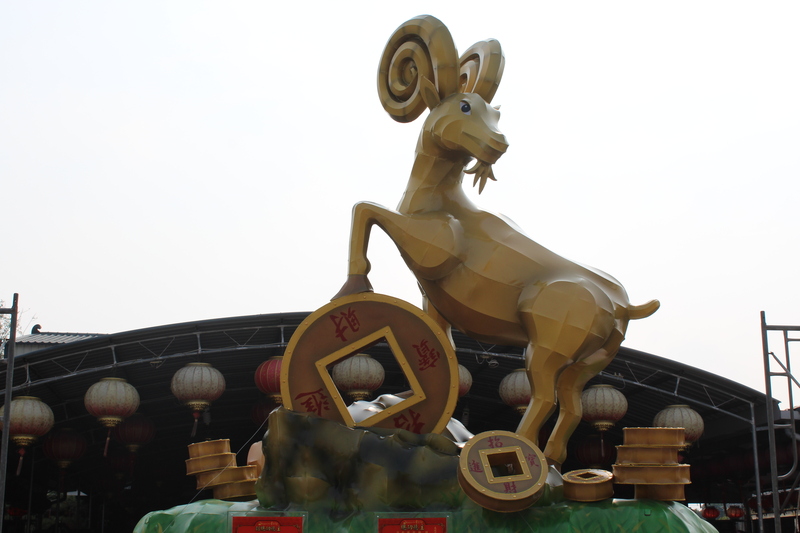 However, supposedly Chinese people and experts on folklore believe that the Chinese zodiac animal is the Goat because the Chinese zodiac is an invention of the Han Nationality, and goats were widely raised by the Han people (unlike sheep), so the zodiac animal is more likely to refer to a goat. However, the sheep is seemingly more popular and “cute” so I have seen more sheep icons. To all of my fellow 1991ers out there, this is our year! Whoot! (1907, 1919, 1931, 1943, 1955, 1967, 1979, and 2003, you are included as well). I was curious to learn more about my Zodiac and know what that means to be living in my zodiac year. As you can imagine, there are hundreds of websites with various information, much of it contradictory, but here are some interesting thoughts I found. The Sheep is thought to be the most feminine sign of the zodiac, perhaps because this is a very creative sign. 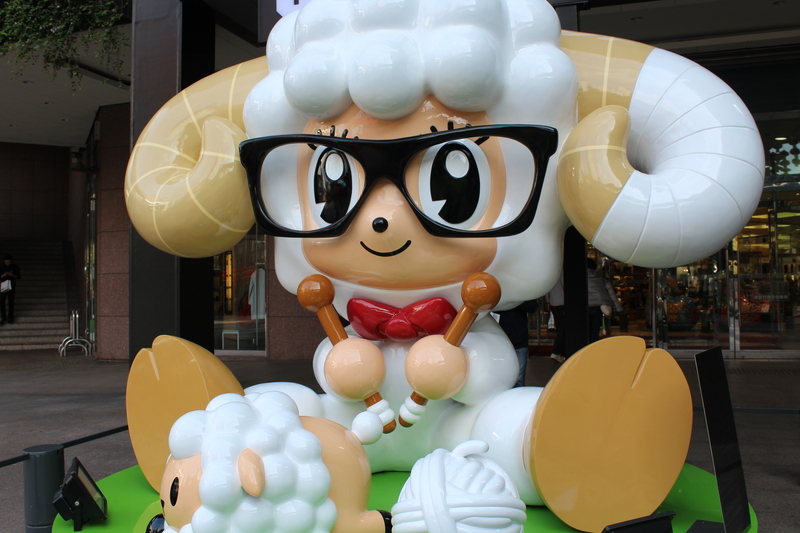 The Sheep is artistically talented, and has a great sense of fashion. Chances are that this type will prefer to be a designer or painter, or go into the kind of profession where he can make the most of his gift for creating beautiful things. These people are considerate creatures – they think before acting, and are trying not to hurt somebody else’s feelings. In case such occasion took place and ram person caused unforeseen problems, there is more chances he/she will step forward to rectify the situation. This certain side of their character usually not only helps them to maintain a healthy social life enables them to deal with life’s ups and downs. It is very important to remember that sympathy is very important to these people and so is the approval of people they respect. However they sometimes require too much attention and impose too much on those who close. Sometimes they are too sensitive for the real world, as they often have some misinterpret with the situations. People born in this year are insecure. They need to feel loved and protected. They are easily drawn into complex predicaments. This being, so, they usually shy from confrontation, pull back when faced with heavy decision-making and blatantly refuse to take an unpopular stand in a conflict. They are also wanderers by nature and are happy to set off on journeys to meet new people and to see the world. It is often the simple things in life that give them the most pleasure; a wonderful view, a beautifully created object or an inspiring piece of music will help these people feel happy and entranced. Such people can be lazy sometimes. If ram person has any choices, he/she would definitely choose to marry a wealthy person and sit back for the rest of his/her life. The urge to follow their inner instincts also reveals an obstinate streak, and this desire to find their dream can make them dissatisfied with their present possessions. Sometimes good opportunities do come their way but it is hard for such people to make a quick decision. Life’s comforts are very important for these people and you they hate put them at the risk. 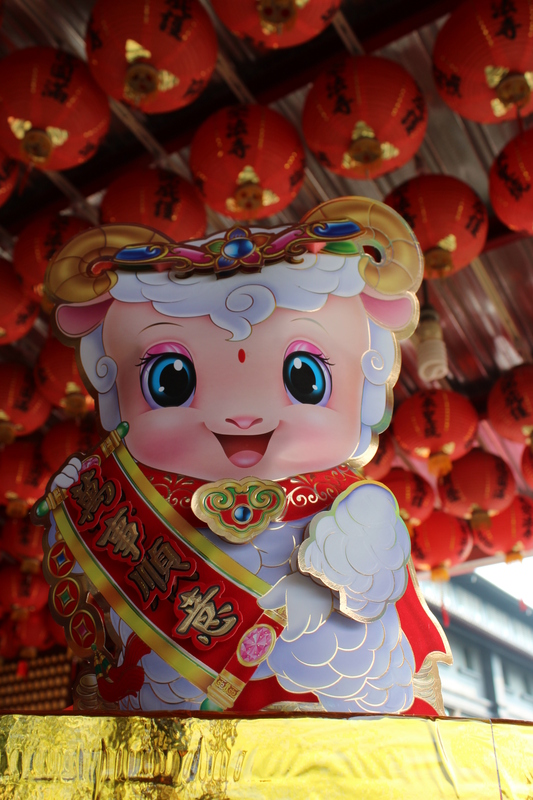 According to Your Chinese Astrology: The Sheep born in 1991 may meet many blocks at the same time have more new opportunities in 2015. You should make an extra effort to triumph over adversity. Your relationship may have a lot of ups and downs. You may break up with your love and start a new one. For family couples, your quarrel is mainly caused by money. So, you’d better to understand each other to maintain your relationship. In addition, in 2015 try to discover something new to learn that will be a great help for your future. I don’t know how much I buy into horoscopes, but it is lucky to be living in your Zodiac year. So what should us ‘Yangs’ do this year? Wear red everyday! Red is one of the luckiest colors in Chinese culture, standing for prosperity, loyalty, success, and happiness. Red can drive away bad luck and evil spirits. So stock up on red underwear, bracelets, and belts! But there is at catch, you cannot buy the red items yourself. It should be bought by a spouse, family member, or friend. More updates on celebration activities later!